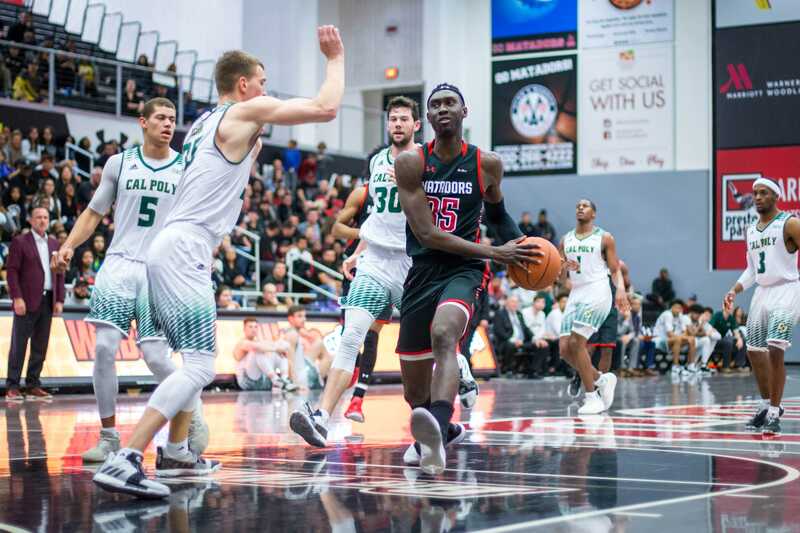 With the distasteful remnants still lingering from nearly blowing a 20-point lead on Jan. 12 at Cal Poly, the Matadors were able to redeem themselves on Saturday by maintaining a near wire-to-wire victory, defeating the Mustangs 83-65. 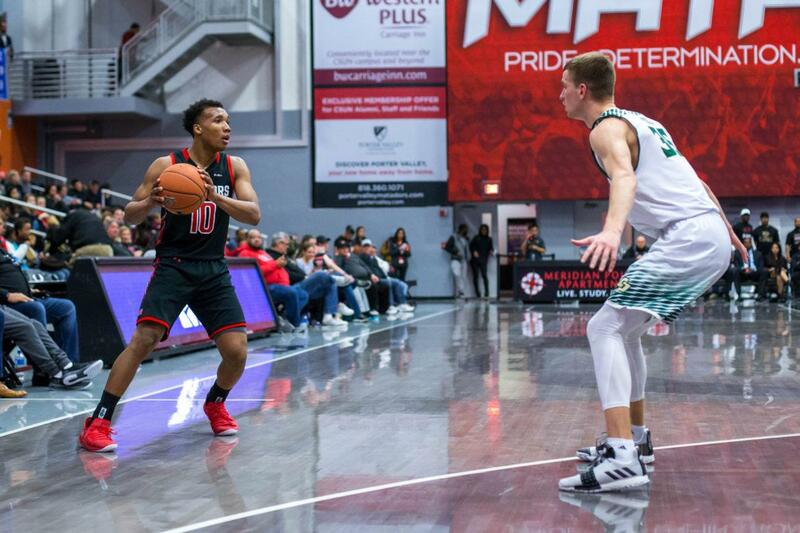 The narrative that surrounds the Matadors this season has been that they lack consistency in being able to close out games by either blowing big leads or starting the game lackadaisical and trying to play catch up in the second half until it’s too late. “Everybody eats” seemed to be the theme of the night for the Matadors, as the players all proactively shared the ball. 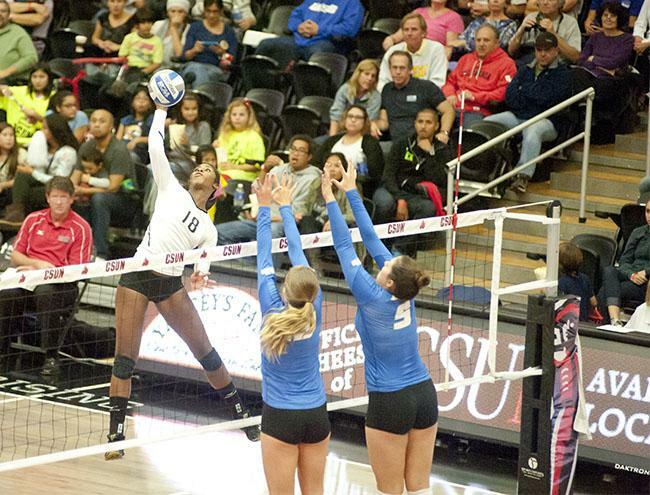 The Matadors collected 13 overall assists, with five players scoring in double digits. The Matadors came into the first half fired up, shooting 18-32 from the field and 62.5 percent from three. These numbers dropped in the second half as they were only 33.3 percent from the field and 25.5 percent from distance, however they tallied a perfect score of 16-16 from the charity stripe in the second half. Overall, the Matadors finished shooting 45.2 percent from the field and 43.8 percent from three. At one point in the second half the Matadors led by as many as 21 points. The Matadors were tight defensively all night, holding the Mustangs to 39.3 percent from the field and 33.3 from distance. “We didn’t give them a lot of easy ones. 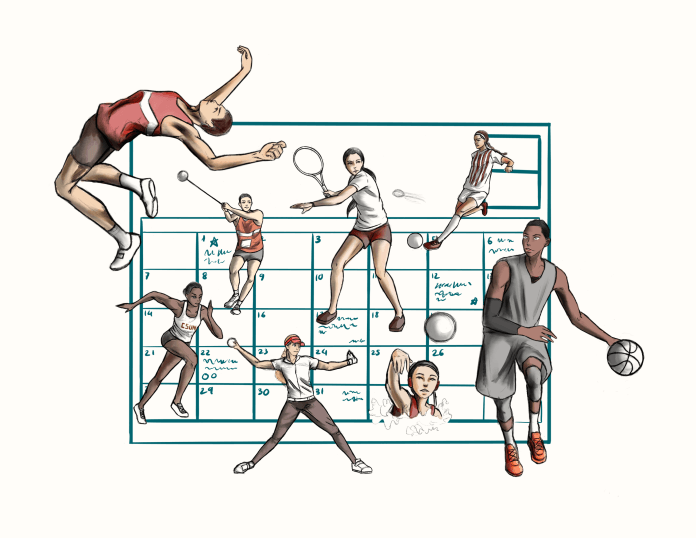 Any basket they had, they really had to earn them,” said Gottfried. Freshman Lamine Diane was doing what he always does: score. He recorded his 13th double-double of the season, with a game-high 22 points. However, with less than 15 minutes left of the second half, Diane was forced to the bench after receiving his fourth personal foul. 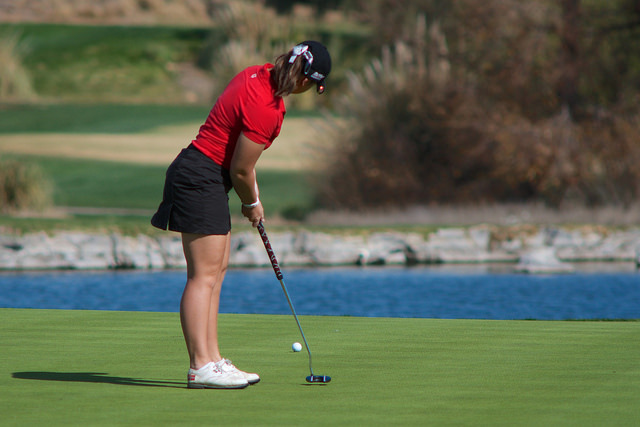 Although a key factor for the Matadors, Diane’s absence allowed players to step up and take shots. Freshman Darius Brown II and grad transfer Cameron Gottfried both had one of their best games this season, combining for 22 points. Gottfried pulled down six rebounds, above his season average of 4.7 per game, to go along with his 11 points. Brown, though, was especially impressive, receiving praise from coach Gottfried after the game. 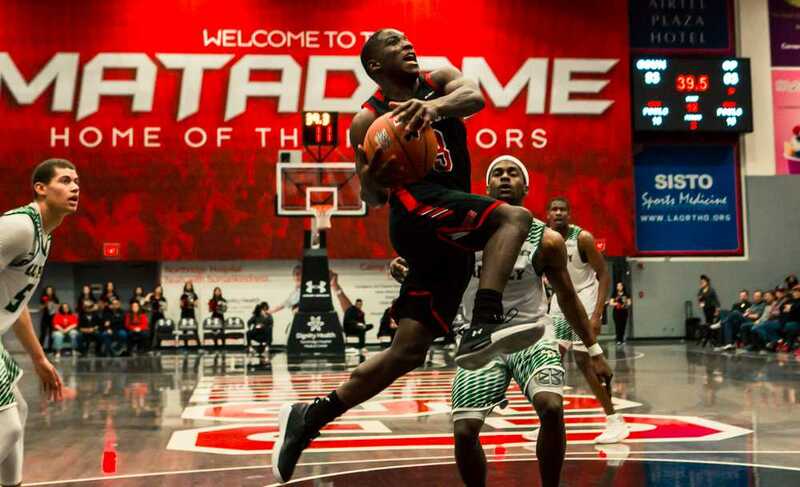 It’s safe to say the Matadors seem to play their best when Brown is performing at his full potential and embracing a more aggressive style of play. Junior Rodney “Rocket” Henderson struggled with his shots against Fullerton, ending the night 0-8 from the field, however, he made amends by turning things around against the Mustangs, finishing with 14 points and four rebounds. 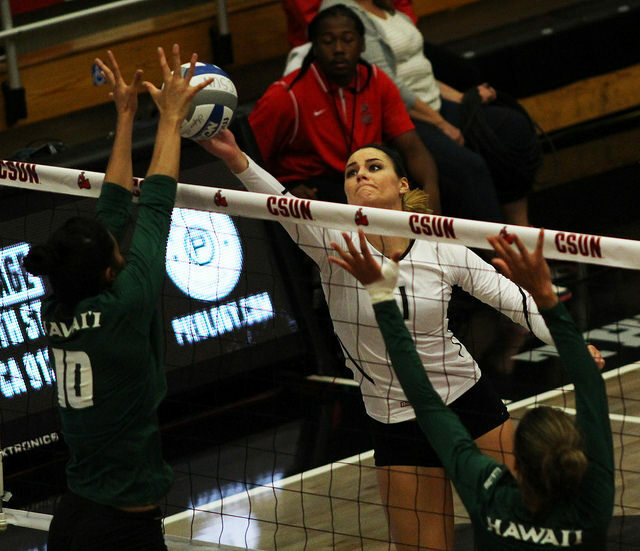 The Matadors now have a 10-12 record (4-3 Big West), sitting in a tie for third place in the Big West Standings with Hawaii, though they are just one game back of both Santa Barbara and Fullerton in second. 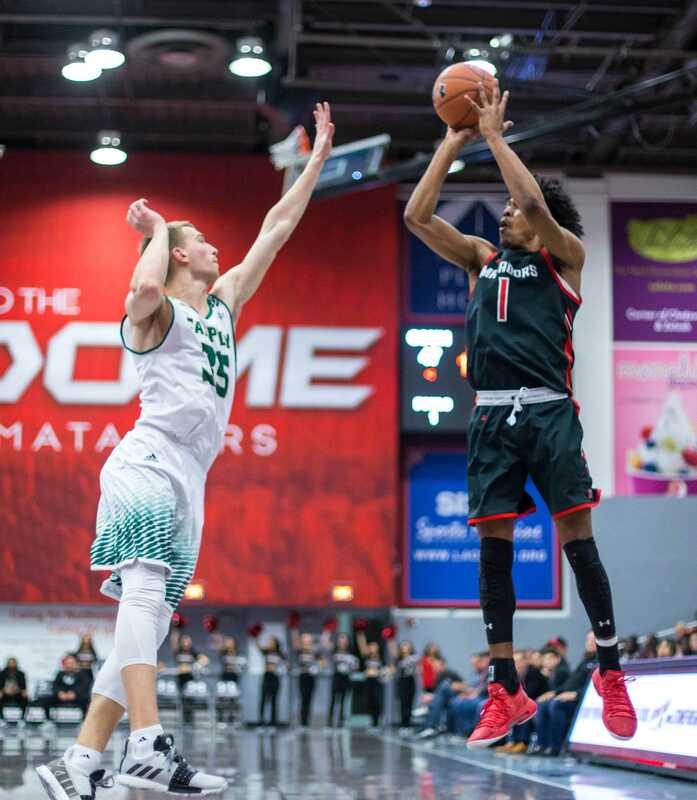 CSUN could quickly jump ahead of the Gauchos with a win at Santa Barbara in the midweek, while the Titans have their own test, going up against first-place Irvine. If the Matadors hope to get the best of Santa Barbara, they will need their star freshman to be on top of his game. Since the start of conference play, Brown has averaged a conference-leading 6.7 assists per game while turning the ball over just 1.4 times per game. That averages out to a solid 4.7 assists per turnover, the second-best ratio in the Big West. 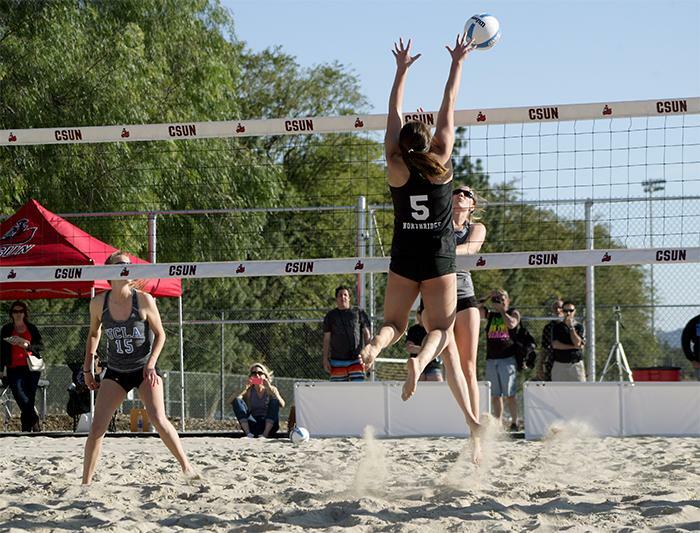 Matadors and Gauchos tips off on Wednesday, Feb. 6 at 7 p.m.
CSUN will then travel up north to face UC Davis on Wednesday, Feb. 13 at 7 p.m. before coming back home for a game against Fullerton on Saturday, Feb. 16 at 7 p.m.